Fax: (603) 927-4927 same number. Call ahead. Wed. 8:00 a.m. – Noon and 3:00 p.m. – 7:00 p.m. Sat. 10:00 a.m. – 2:00 p.m.
Join the littlest library visitors and their tall (adult) friends for reading , creating and general good times! Now coming to you on Mondays at 10:15 . The SFL book group now meets the third Wednesday of each month from 6-7pm. Call or stop in to grab a copy of this month’s book! All are welcome! 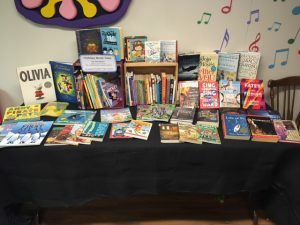 The general collection at Sutton Free Library includes thousands of fiction and non-fiction titles as well as audiobooks and DVDs to appeal to all audiences. Magazine subscriptions, board games, a meeting room, public computer, copier, fax and 24/7 wifi. 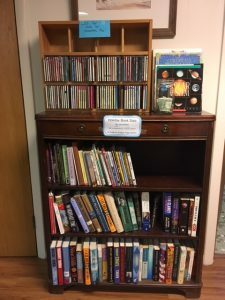 If the book you need is not in the building, the library participates in state-wide interlibrary loan – which means the book can be borrowed for you from over 200 libraries throughout NH! Click HERE for downloadable EBooks and audiobooks. Have a tablet, smart phone, kindle, nook or other electronic device? Access thousands of e-books and audiobooks from anywhere through the library. Simply go to nh.overdrive.com select Sign In, then “Sutton Free Library” and enter your library number and pin. Ask the library for details! No charges apply. With Inter-Library Loan you can borrow titles from all around NH as well as our local collection! Get started today. Visit the Fells, Currier Museum, NH State Parks for FREE – passes at the Library! The library has daily passes to The Fells Historic Home, Gardens and Trails in Newbury, Currier Museum and the NH State Park System. Call or stop by for details. Great for trips with family or visitors. Want to keep up to date with what’s going on at the library? 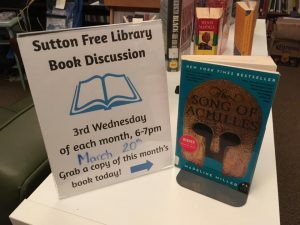 You’re invited to visit the Sutton Free Library page which is regularly updated by the SFL Director. Find out what’s going on with Story Time, discover news books , hear about new program offerings… there’s a little of everything! Hope you can join us! Seasonally selected books, activities and outdoor fun all wrapped in a travel pack you can check out at the Sutton Library. Another great way to entertain the young or young at heart through every season! Call or stop by for details. Another hit from the folks at Lake Sunapee Protective Association! Vinyl Lab @ the Library! There is a working turntable setup downstairs in the meeting room and folks are encouraged to bring in their records to enjoy or listen to the handful of records already at the library (even a local artist LP). If you like to listen loudly please bring ear phones – there is a headphone jack. The lab has cassette ability as well… so whatever your retro sounds may include – we can provide a listening arena. 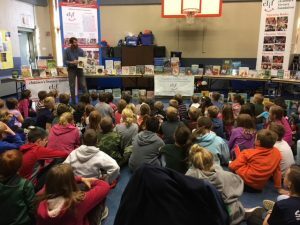 Sutton Free Library is thrilled to announce that we have been selected as one of the Children’s Literacy Foundation (CLiF) Rural Library grant recipients for the 2018-2019 school year! 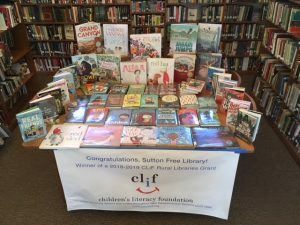 Thanks to the generous support of CLiF, and their sponsors, both the Sutton Free Library and the Sutton Central School library are adding many new titles, from picture books to non-fiction, to graphic novels, and audio books! 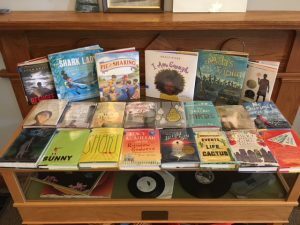 We can’t wait for you to stop by soon to see all the new books and share in all the excitement! 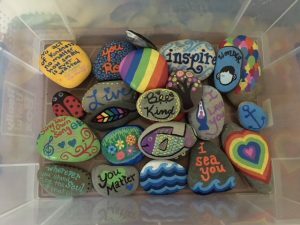 The Kindness Rocks Project encourages people to leave rocks painted with inspiring messages along the path of life. 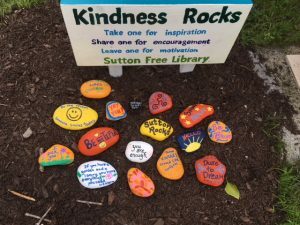 WHAT IS THE PURPOSE IN CREATING KINDNESS ROCKS FOR OTHERS? The purpose is simple, to cultivate connections within communities and lift others up through simple acts of kindness. 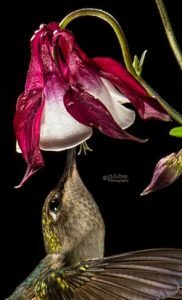 Have you seen the Wisteria? Amazing, cut paper hanging sculptures from local artist Alayna Josz! Also find work from artists Larry Harper (Photographer), Joanna White (watercolors of Sutton Mills village homes) and Loren Howard (multimedia abstract three-dimensional pieces). Their works are on display throughout the library and will rotate periodically. 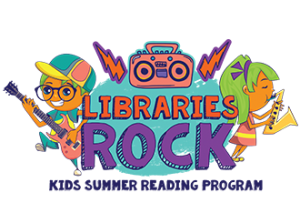 Thanks to Mascoma Bank, Sugar River Bank and the Friends of Sutton Free Library for their generous support of the Summer Programming at Sutton Free Library! It rocked! Looking for the perfect book gift? Come check out the sale table and bookcase (with complimentary wrapping station)! 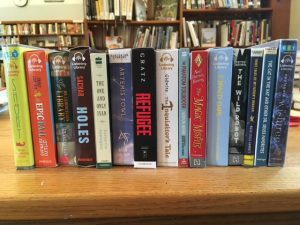 You name the price, all donations support your Sutton Free Library! 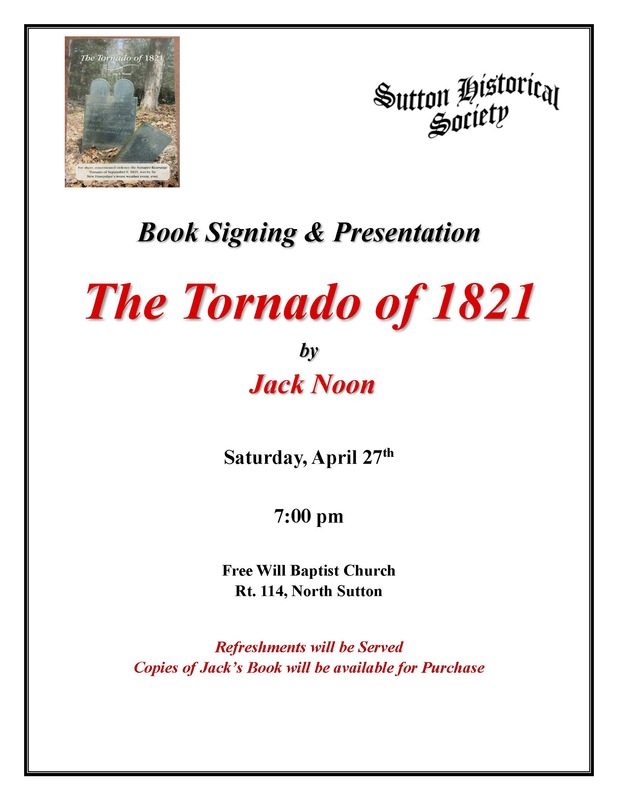 © 2019 Town of Sutton. | Hosted by Thorworx.